Explosive Real Madrid striker Cristiano Ronaldo was once the most expensive player in football history when he moved from Manchester United to Real Madrid with a deal worth £80 million (approx. US $132 million). He continues to retain his worth and swag in real life as well. This has been proven recently when he presented himself a luxury private jet worth €19 million (approx. US $20.5 million). Designed by Israel Aircraft Industries, the opulent Gulfstream G200 twin-engine business plane is one of the most luxurious personal jets in the world and can carry eight to ten passengers around the world. It even incorporates all high-end facilities, including a separate room for the three-time Ballon d’Or winner. 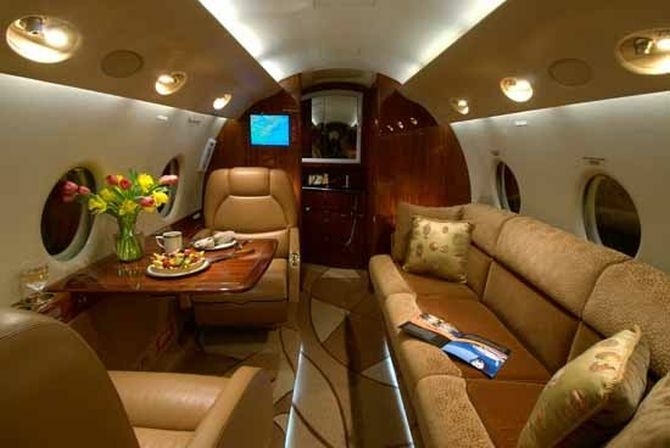 The jet has its own living area, fully-equipped kitchen, entertainment systems and separate bathrooms for crew members. Internet access, telephone and fax are also included for connecting passengers with the world. According to Portuguese newspaper “Correo da Manha,” lately Ronaldo took his inaugural flight in the private jet from his home in Madrid to London to watch the premier of the film documentary about him. 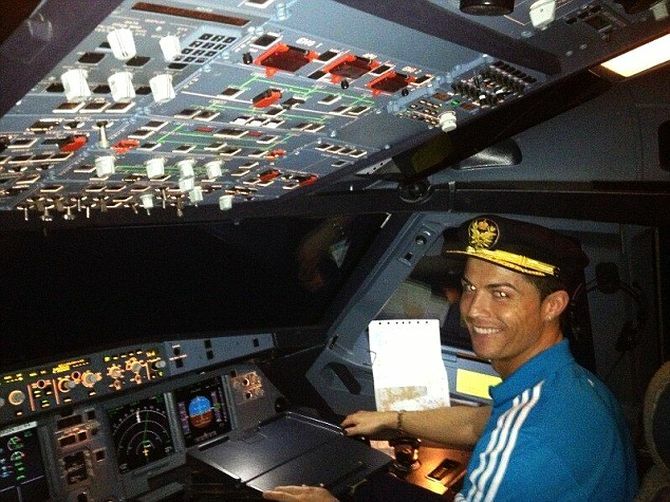 So, when out of training with Real Madrid, the star football player can enjoy jetting around the world in his extravagant flight. 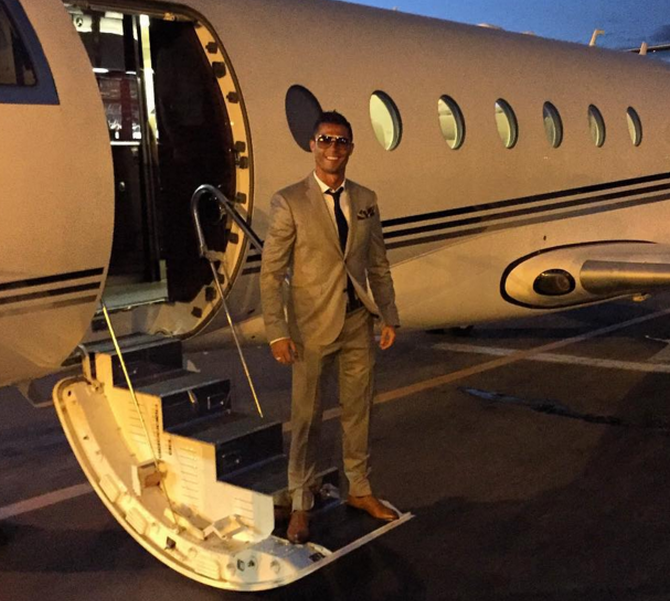 After looking at the pictures of Ronaldo’s luxury private jet, we’re sure your hearts would be pumping to fly with same flair the next time you travel.